Ezyas Car Wash Darwin. 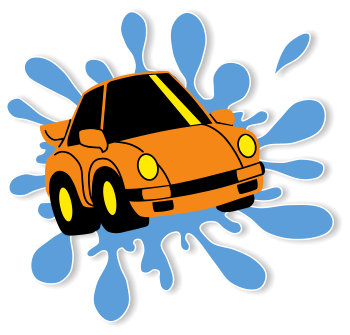 Our touch free car wash uses high water pressure to clean the vehicle instead of brushes, minimizing the chance of surface damage to the vehicle. The car wash incorporates the latest technology with controlled water temperature, correct pressure and proven chemistry. Vehicles will come out clean and shiny without the chance of vehicle damage caused by brushes. These machines are for maintenance cleaning and do not remove heavy deposits of grime, tar etc. The vehicle is parked inside one of our large covered bays that are equipped with a trigger gun and wand (a high-pressure sprayer) and a scrub foam-brush. Just insert the correct quantity of coins into the controller, you can choose options such as soap, tire cleaner, wax or clear water rinse, all dispensed from the sprayer, or scrub the vehicle with the foam brush. Large bay available for large vehicles and vehicles with caravans and trailers. Larger wash bay with great access for small trucks, boats, caravans etc. Parking available in Toupein Street. Enter via Touepin Road, exit via McCourt Road.